Can you please help us raise funds for PACT? Buying raffle tickets, these are located in the Barn and cost £1 per strip. 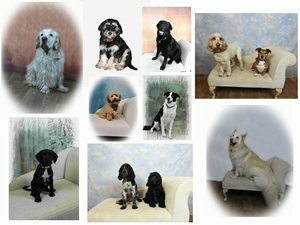 Prizes include a Pastel Portrait of your dog by a very talented Artist and Club member Ann-Marie, and a photo sitting for your dog including an 8” x 6” print of your choice. Entering your dog in the “is your dog a winner competition” (located in the Barn). Kathy has listed all the dogs names on a board for £1.00 you can pick your dogs name and this will be entered into a draw for a fantastic doggy hamper. Complaint to Anglia Water– I have been appalled at the cavalier attitude of the contractors carrying out the sewerage works and have spent hours on the phone and in meetings trying to ensure members have a clear flight path in and out of the Barn. Often to no avail. I am putting together a formal complaint to try and recoup some of the money we would have raised via the Christmas Party. I would be really grateful if you could print out and complete this form if you have been inconvenienced in any way by the lack of clear directions and access caused by the sewerage works. Please leave your completed forms in the Barn. PS Thank you for all the tombola donations some have gone to PACT and Norfolk Strays, the others we will keep back for an event in Spring when all the sewerage works are complete.